Choose the branches you wish to use in your design. 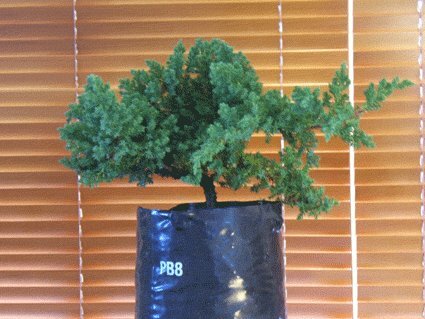 It is common for beginners to retain too much foliage, remember you want your plant to look like a tree not a manacured shrub. The gaps between the foliage are just as important as the foliage itself. 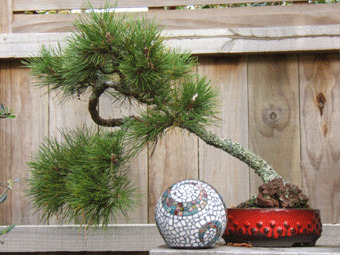 The first branch is 1/3 of the way up your tree to the left or right and the next branch should be slightly above and out to the other side. Avoid if possible branches that are opposite and at the same height. This is called a bar branch and is undesirable. 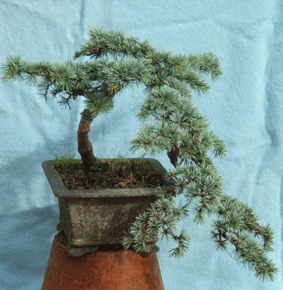 The third branch should be at the back and slightly higher again. Follow this pattern as best you can up your tree. When you have choosen which branches will remain, remove all the unwanted branches. The basic shape of your tree should be triangular. It can be any shaped triangle but must conform to that basic shape. 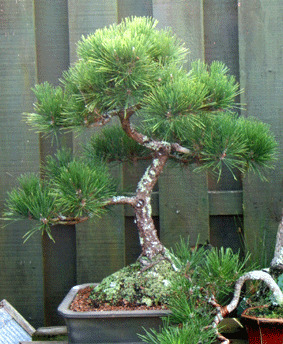 Lightly trim your remaining branches so they are longer at the base of the tree and shorter towards the top. You should now have the basic outline of your tree. You can see from the amount of bag that is rolled down how much soil has been removed before the true roots were found. This is a large amount and probably more than usual. 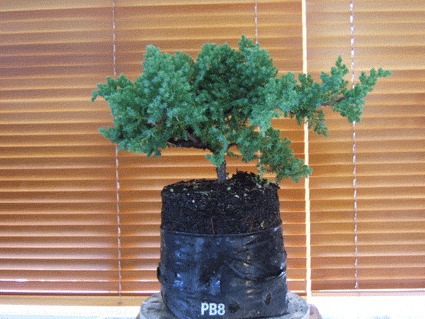 If you are unsure don't worry you can always bring them up on the next repot or they may become clearer when you come to plant your tree in your Bonsai pot. Trim away the small exposed roots. This will allow you to see the full extent of the trunk you have to work with. 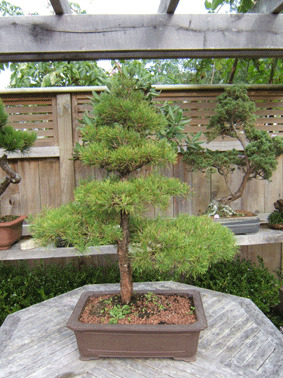 Stand back and examine your tree, try to imagine the finished bonsai. If you still cannot see the finished tree in your minds eye don't be discouraged, I often change direction half way through. At least try to determine the best front for your tree. Have a look at step 3 above. To enhance the branch placement you may use wire. 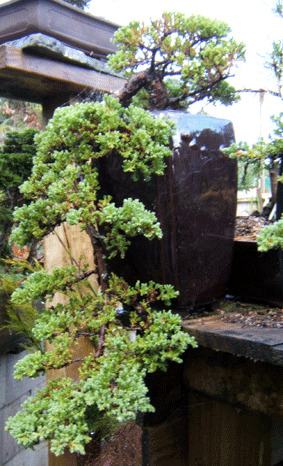 This is not always necessary but it can improve a tree quickly and dramatically. See Stage 3 wiring and potting for more help with this.